Last week's Wisconsin Supreme Court election results – and the size and scope of Milwaukee County Circuit Court Judge Rebecca Dallet's victory over Sauk County Circuit Court Judge Michael Screnock – demonstrated the high level of citizen support for stronger judicial recusal rules for judges in the state. That issue became a central focus of the election campaign with Dallet, who supported strong recusal rules, decisively defeating Screnock – who, not only opposed strong rules, but spent much of the campaign trying to obscure the issue altogether. "The nonpartisan election saw $2.6 million in spending on television and radio ads alone, with more than $1.7 million coming from outside groups. Outside groups’ ads focused on candidates’ rulings in criminal cases – one ad described Dallet as “one of Wisconsin’s toughest judges,” and one ad argued Screnock “has a record of throwing the book at murderers, abusers and predators.” Ads also attacked Dallet and Screnock for allegedly ruling leniently in particular criminal cases. The race attracted national attention, including robocalls by former Vice President Joe Biden on behalf of Dallet, and spending by the National Rifle Association on behalf of Screnock. The biggest outside spender in the election, Wisconsin Manufacturers and Commerce (WMC), spent about a million dollars, including on particularly vicious and largely untrue attack ads against Dallet on a criminal matter. 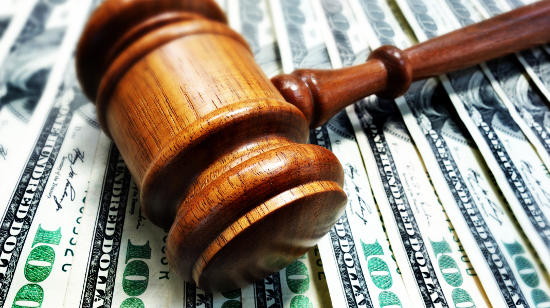 WMC, a business organization, was willing to tear down Dallet at any cost, to protect their investment in Screnock and his opposition to strong judicial recusal rules. Citizens might ask how running nasty, untrue attack ads is good for "business" in Wisconsin. The current "non-rule" on judicial recusal was written by WMC in 2010 and was adopted verbatim by a narrow 4 to 3 conservative majority. It basically said that judges should recuse themselves from a case only if they felt the need to do so. Large contributions to their campaigns or a significant amount of money spent by a so-called "independent," outside special interest group (such as WMC) to benefit a candidate, do not trigger recusal from a case if the donor or outside group is a party to a case before the judge or justice – as it does in almost every other state. 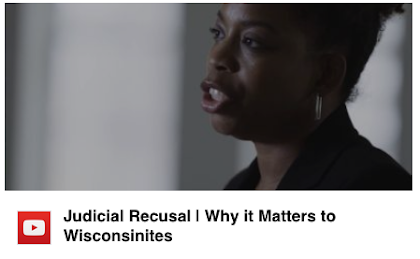 As a result of this pathetic standard, Wisconsin has been judged to have the 47th weakest judicial recusal rules in the nation. Please view both of these videos and let us know what you think. And share them with others so that more citizens will be educated about the need for reform in this critical area. Already more than 20,000 Wisconsinites have viewed them on our website, Facebook and YouTube. Please join them! 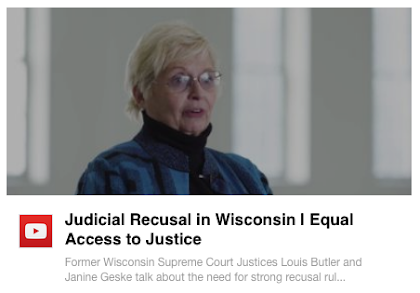 The issue of judicial recusal will continue to be very important this year as the Wisconsin Supreme Court will continue to be pressed to hold public hearings and consider stronger recusal rules. And the issue will likely play a central role in the upcoming 2019 State Supreme Court election, now less than a year away. For more on this issue and for CC/WI's commentary on the 2018 WI Supreme Court election, go here, here, and here. 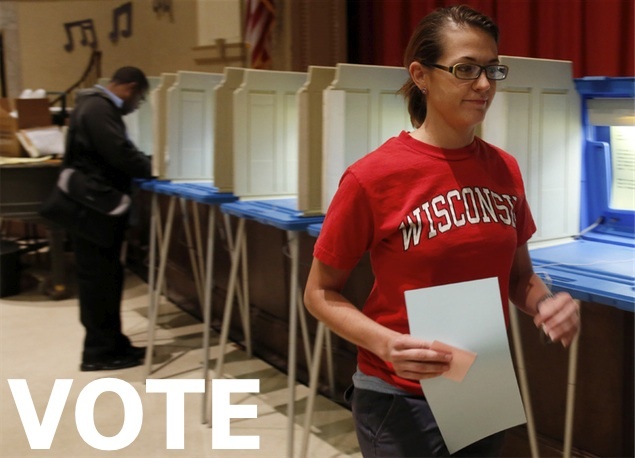 Wisconsin' s Spring Election is Tomorrow – Make Sure You Are Ready to Vote! In tomorrow's Spring Election, Wisconsin voters voters will elect a new State Supreme Court Justice to replace retiring conservative, Justice Michael Gableman. Voters will also choose Court of Appeals and Circuit Court judges – along with local officials and school board members in areas across the state. A Constitutional referendum to eliminate the Office of State Treasurer is also on the ballot. So if you think a Spring election doesn't matter, think again – every election matters. And, because Spring elections tend to have a much lower turnout than those taking place in the Fall, individual voters can actually have an even greater influence on the outcome of these elections. Do NOT sit this one out! Before you head to your polling place tomorrow, look over the information below to make sure you have what you need to cast your ballot. You can ask for AND vote with a provisional ballot. But, for your ballot to be counted, you MUST either come back to your polling place with an acceptable form of ID before it closes at 8:00 pm on Election Day OR bring your ID to your municipal clerk's office by 4:00 pm the Friday after the election (April 6th). If you do not have an acceptable ID for voting and need help getting one, contact one of these statewide Voter ID Hotline numbers: 608/285-2141 or 414/882-8622. Before you head to the polls tomorrow, check to see that you are registered to vote at your current address. If you are not, be sure to bring a proof of residence document (hard copy or electronic on your cell phone or tablet) when you go to your polling place so that you can register there. 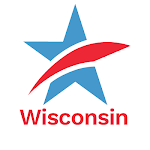 To find out where to go to cast your ballot, visit the "Find My Polling Place" page on the Wisconsin Election Commission's "My Vote Wisconsin" website and type in your address. Prepare NOW so you can make your voice heard tomorrow in this vital Spring Election – and encourage every eligible voter you know to do the same! Stan and Common Cause Wisconsin Executive Director Jay Heck discuss what effect Rebecca Dallet's Supreme Court victory could have on recusal policy in the state's court system.